This notice explains what information we collect, when we collect it and how we use this. During the course of our activities, we will process personal data (which may be held on paper and/or electronically) about you and we recognise the need to treat it in an appropriate and lawful manner. The purpose of this notice is to make you aware of how we will handle your information. Hewitson Property Management, Red Hot Lettings, Letting Agents take the issue of security and data protection very seriously and strictly adhere to guidelines published in the General Data Protection Regulation (EU) 2016/679 which is applicable from the 25th May 2018, together with any domestic laws subsequently enacted. and I am the data controller of any personal data that you provide to us. The tenant’s information will be used to notify the local authority or utility provider about this tenancy. 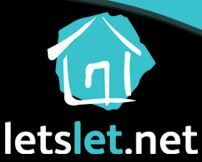 The tenant’s information will be shared with the guarantor in the event of rent arrears or any other breach of tenancy. The tenant’s information will be used to notify a local authority or utility provider about the end of the tenancy. The tenant’s information will be used to provide a reference or details about the conduct of the tenancy with other landlords, agents, referencing services, credit reference bureaus etc. Your landlord or their agent will retain your information beyond the tenancy for as long as necessary or legally required for potential HMRC audits, potential local authority disputes (for example council tax) and Immigration Act (Right to Rent) investigations. Unless required to do so by law or legitimate reason, we will not otherwise share, sell or distribute any of the information you provide to us without your consent. When you give me/us information I/we take steps to make sure that your personal information is kept secure and safe. All computers that hold your information are password protected, and access to these computers is limited to personnel who require access to undertake their specific duties. We review our data retention periods regularly and will only hold your personal data for as long as is necessary for the relevant activity, or as required by law (we may be legally required to hold some types of information), or as set out in any relevant contract I have with you. My/ our full retention schedule is available at #[insert where data subject can source retention schedule (e.g. website or in our office)]. make a request to me/ us to delete what personal data of yours I/ we hold.